As I finished up my packing (yes, Santa hat included!) and made the final copies of contact information for my parents, I took a moment to enjoy the last Orange County sunset I may possibly see for the next two years. No matter where I go and what kind of adventure I have had, my heart will always belong with home. Semisonic's "Closing Time" states "every new beginning comes from some other beginning's end" and though I've left California numerous times since the start of this travel blog, this ending marks a new journey in the adventure of life. And contrary to the theme of Carrie Underwood's popular song (and same name as this post), je suis prête! Off to Peace Corps Staging in Philadelphia! According to the Millennium Project, a report commissioned by the United Nations Secretary-General, a billion people live on less than a dollar a day*. 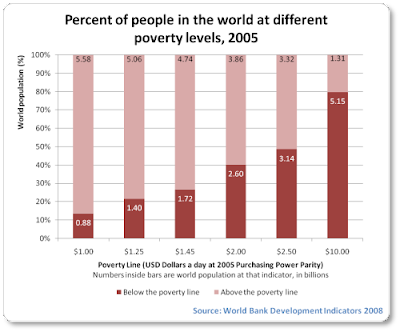 According to the World Bank, over three billion people (in other words half the world) live on less than $2.50 a day. 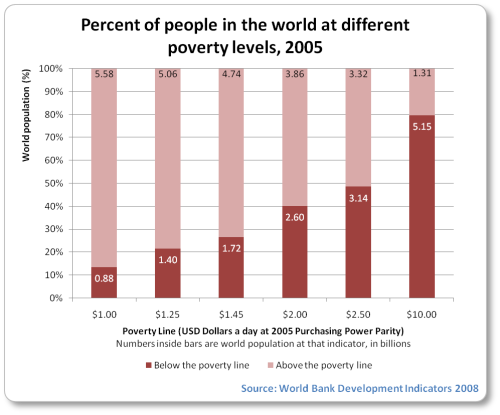 Though arguments can be made regarding cost of living, exchange rates, etc., poverty is poverty. Poor is poor. Below is a beautifully directed video by Sara McLachlan entitled "World on Fire." Though I can't single-handedly change the world, I can make an impact. Let this be one of the many reasons I'm joining the Peace Corps and let it be one of the many reasons we live our lives for others. During this process, I have scoured through several Peace Corps blogs for a wealth of information. It seems that each volunteer felt overwhelmed with nervousness and excitement during their final weeks before jumping on that airplane. Though I am right there with them, I find my thoughts are much more unconventional from the norm. After logging over 75,000+ miles since 2007, I've got packing down to a beautiful art form. After a test round, the next two years of my life can be put together in just 80lbs (see picture below). Everything I'm taking with me! Keep in mind that there is a full-size sleeping bag, a quarter ream of paper, and a plastic bowling kit in there. I told you. I'm good. There are three types of transportation a Peace Corps Trainee/Volunteer can receive: a mountain bike, a canoe, or a donkey. Unfortunately, I am receiving a mountain bike. After being fitted at a local bike shop, I am a size 13 - woohoo! I wonder what size canoe I would have received? All bicycle-riding PC members must also wear a helmet at all times, otherwise, they will become "administratively separated." As I hate hat hair, I really wish I had a donkey. 3) I love my Swiss army knife! Swiss army knives today can be trendy and chic. Mine is flat like a credit card, perfect for any girl to slip into a purse. Finally I have a reason to own a Swiss army knife and am pretty stoked about it. Next up will be to own my own machete. Useful, light, and chic - perfect for any PC female! 4) Should I pack my Santa hat? Having a petite head, it was always difficult to find a Santa hat with a good fit. While studying in France, I found the most fitting hat with snowmen decorated on it. As I will unfortunately be missing Christmas in the States this year, should I pack my Santa hat? Or is this too ridiculous to bring? To bring Santa hat or not to bring Santa hat? As one can see, I have some things to figure out. So what exactly is the Peace Corps? Almost 200,000 participants to date have provided their service and built mutual cross-cultural understanding in 100+ developing countries. 27 months. Three months training and two years at post working on your project(s). What does Small Enterprise Development (SED) consist of? Just think microfinance and international business development for my primary project. Secondary projects could include youth development and/or HIV and AIDS education. Though I will (hopefully!) officially be known as a Volunteer once training is completed, I will receive a stipend and essentially have no expenses. No rent or house bills, no student loan payments as they are deferred, medical and dental benefits fully covered, a stipend that covers food, entertainment, cell phone, etc. As long as I complete training, I'll be set for the next two years. Do you get vacation days? As it's a job, of course! Two vacation days each month = 24 vacation days a year. Maybe, maybe not. As I'm in SED in Cameroon, it's assumed that I'll have internet access; however, I shouldn't be surprised if I don't. Thus, I can write ridiculously romantic Nicholas Spark-esque letters like in "The Notebook" or "Dear John." Yes! And you should! Sato Travel (1-800-698-2554) can work with friends and family to arrange travel to visit a Volunteer. Peace Corps also specifically addresses this matter online. Now doesn't that make it easy for you to come and see me? It is only fitting that before leaving for Cameroon, I pay homage to the creator of Peace Corps himself, none other than President John F. Kennedy. At Dealy Plaza, one can visit The Sixth Floor Museum, an exhibition of JFK's inspirational life, young presidency, and tragic assassination. Since it's opening in 1989, the museum has attracted over six million visitors who walk the same spot where Lee Harvey Oswald shot the former President. Though no photography is allowed, I was able to take mental images of pictures such as Kennedy and his wife happily waving to the American public from their motorcade. The highlight though was seeing and reading the handful of Peace Corps references throughout the museum. Little could the President have known that fifty years later, almost 200,000 Americans will have answered his call to service. I'm honored to be one of them. Today was spent partaking in one of the truest Texan traditions: tubing! Commonly referred to as "floating down the river," participants sit in inner tubes as the water flow gently glides them down the river for a few hours. What do you do on the river? Chat, relax, drink, laugh, and be merry! Though the Comal River sits as the shortest river in the world at 2.5 miles, it sits at a warm 70-72 degrees. As it is spring-fed, the river is ideal for relaxing tubing. Be warned though! Early on, there is a tube shoot that can trap any novice tuber if they get caught in the current (speaking from experience!). Tip: Putting a ziplock bag inside another ziplock bag does wonders for your digital camera and other belongings. And be sure to hold up your drinks and sunglasses at the tube shoot if you want a chance to enjoy both for the remainder of the river! Along the way, I had the pleasure of meeting some French students that helped me practice my Français. Interestingly, one of them worked in Business Development and praised me on joining the Peace Corps. It is safe to assume that most Americans know the Peace Corps, but it's a real treat when foreigners recognize it. High five! With our French friend after the day's success! Back on the UT-Austin campus, we discovered the Graduation Longhorn! Though there will be no mention of an upsetting college football game from 2005, the following picture shows that USC Trojans and Texas Longhorns can co-exist harmoniously. Forever and always, fight on! For dinner, we met with Alec Swafford for another mini-Europe reunion (see all Rome posts in September 2008). The night air was cool and breezy as we shared tacos on the deck of Cuatros. As Austin is known for being the "live music capital of the world," Chris Wu and I headed off to the Elephant Room and listened to some Latin jazz before heading of to Malaia, Downtown's newest nightclub. Thanks, Austin! I will miss you!